Wild Horse Destiny. A poem by Craig Downer. 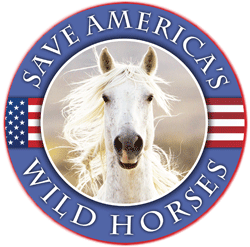 Craig Downer & Bob Bauer on Wild Horse & Burro radio tonight! An independent aerial survey was completed over northeastern California and northwestern Nevada for the Twin Peaks Wild Horse and Burro Herd Management Area on November 26th 2013. The objective was to estimate the population of wild horses (Equus caballus) and burros (Equus asinus) and to monitor the habitat recovery from the Rush Fire, which burned 315,577 acres in August 2012. The flight and pilot were arranged through the LightHawk organization. Earlier this year, I made a trip to Big Bend Ranch State Park and Big Bend National Park to investigate the ecosystems of these parks with Craig Downer a well known wildlife ecologist. Our purpose was to investigate stories from locals who insisted that the the shooting of burros had not been halted after “burrogate”. After 71 burros were inhumanely gunned down in 2007, it was widely believed that the shootings had stopped. Unfortunately, we discovered since that at least 46 more of these remarkable animals have also been wasted.